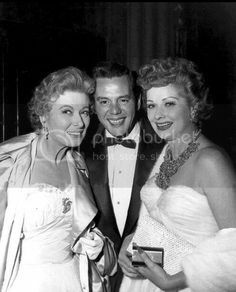 I particularly love photos of Lucy with other stars, especially ones she never worked with, and so in the spirit of The Lucy shows here's a thread of her meeting this and that star. 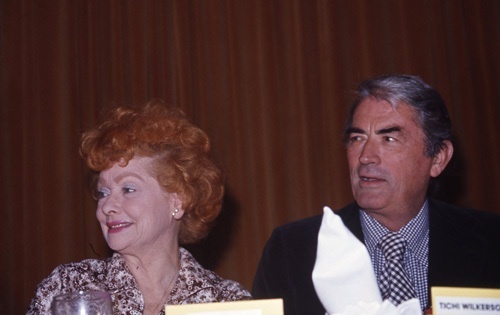 Please feel free to add any photos of Lucy with any other stars that you have to the thread. 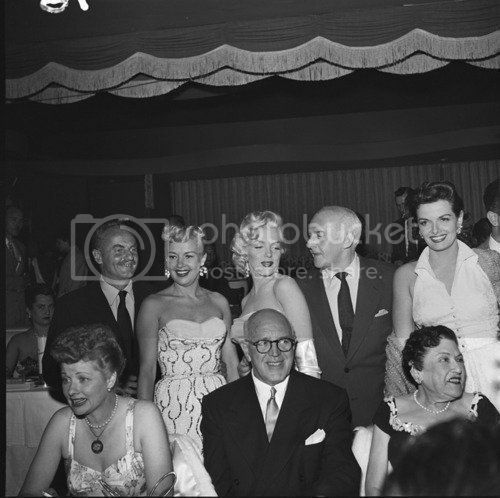 Here's a great one to start off with Lucy with Marilyn Monroe, Betty Grable, Jane Russell, and some industry people like Louella Parsons and Walter Winchell. 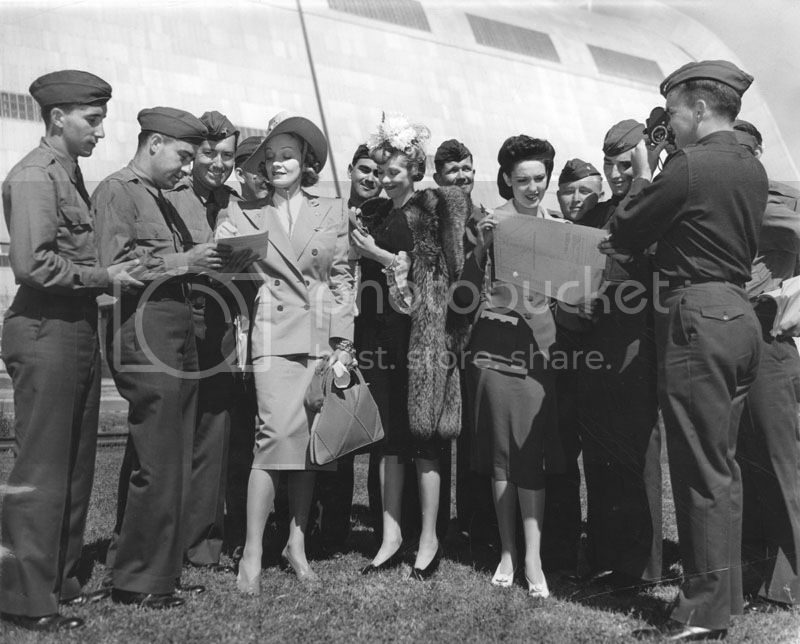 Lucy greets returning servicemen in 1945 with Marlene Dietrich and I believe Linda Darnell (although the website said it was Dorothy Lamour, but I think it's Linda who played Jayne Mansfield to Lamour's Marilyn in the '40's). I'm not even 100 percent sure it's Lucy in the photo given she holds her head down. 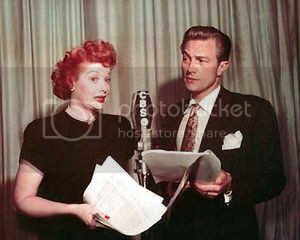 Rare color photo of Lucy and Richard Denning performing on MY FAVORITE HUSBAND. I know i've asked this before but who are the man on the left and the one bottom in the middle. 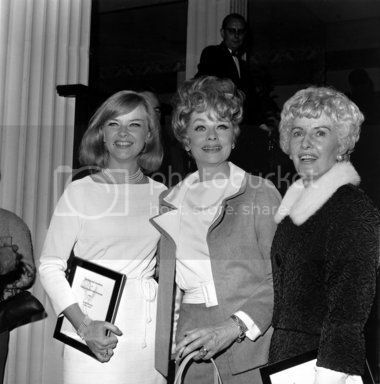 I didn't recognize Lucy right away either but it's definiely her, even her fur coat is more recognizable than she is and that's also Linda and not Lamour. You see, even a radio show's better IN COLOR, LOL! Yes it has, but no matter, it's one helluva superstar type photo that i just love seeing. Yeah, thought that was Zanuck, or at least a major studio honcho, but who's the bottom? Not that i know the guy's sexual preference here. LOL! How about Marilyn's come hither LOOK? LOL! 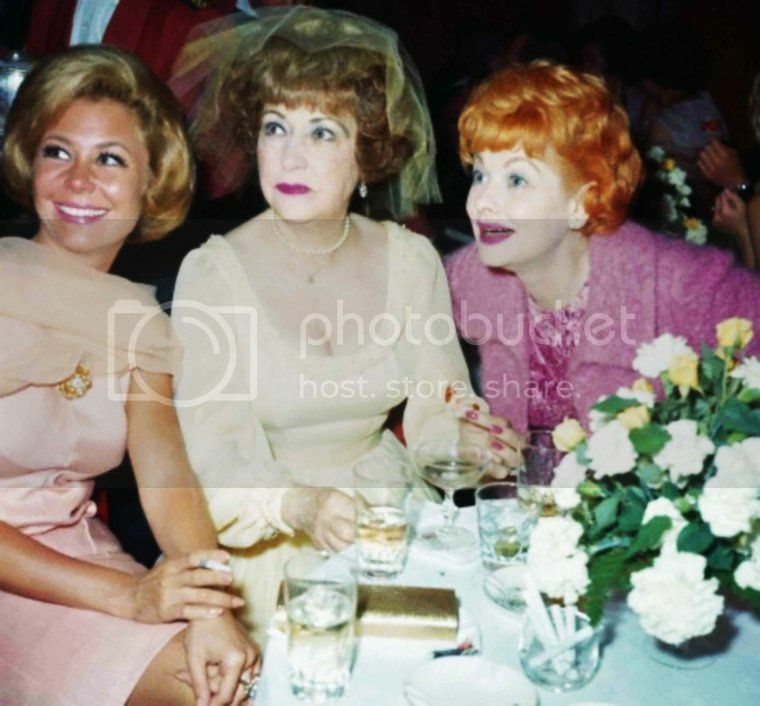 Well, here's Lucy and the real Lamour - working with Dorothy, Hedy Lamarr, and Joan Fontaine in that 1960s Bob Hope special with his leading ladies. 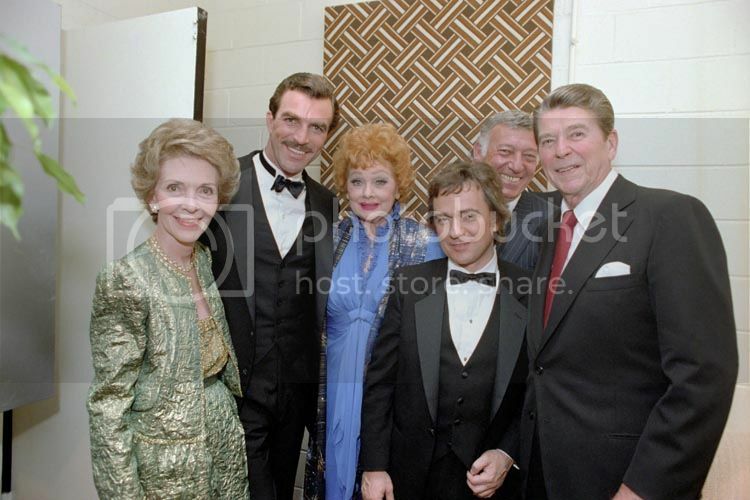 The Mortons, The Reagans, and Tom Selleck and Dudley Moore. I wonder if this is a shot from rehearsal. In all the other ones I've seen Dorothy, Lucy and Hedy are wearing different outfits, but Joan's is the same. Who is under the veil? I think that is rehearsal. Lucy’s wearing pants and I think that may be a script in her hand. I think Lucy actually wore those pants on the show. She entered on a bicycle. I think there's a clip of her in this outfit shown in the Bob Hope's Love Affair with Lucy special. She wore a gown later in this special. 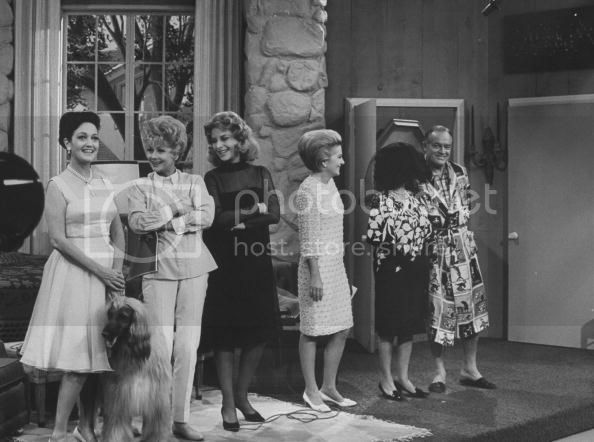 This great shot is from an actual scene with a few of his leading ladies, from the Bob Hope Comedy Special, 9/28/66. 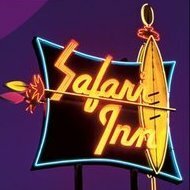 The special includes a lot of the ladies, but a few great character people as well, including "Bobby the Bellboy" Bobby Jellison as a hairdresser to Phyllis Diller. During an audition scene of Scarlett (thus the script in Lucy's hand in the BW photo above) she grabs Bob too hard and they both crack up. All the ladies except Lucy were hiding out in various rooms until they come out and find each other vying for the same part. When it finally plays out...Bob sees one last person (under the hat and veil) who wants the part too. He picks that one in the end. WHO COULD THAT BE? If you already know, don't reveal just yet. Gotta dig out that Bob Hope Love Affair special stat. These are just wunnerful. I knew or thought sure that HAD to be from a rehearsal but thanks for the SPLANATION. I mean why else would Lucy be in pants and a regular top when the others were more formal. I never would have recognized Bobby the bellboy, thanks for saying it. Lucy looked great in that gown, I knew it was ritzy but had no idea it was that gorgeous blue, she looks sensational there. Looks like a fun special. Wish I had seen it. Glad I got a copy of Bob Hope's Love Affair With Lucy it was a great tribute and hilarious. And for me a musical fan lucy sings too. Yes, that great Bob Hope's Love Affair with Lucy should be brought out on dvd already. It was a great tribute special done after she had passed. Who's still alive and still kicking -- and she must be in her 80s by now! -- as of the most recent S.T.A.G.E. show here in LA -- featuring our own Miss Carole Cook and Mr. Robert (Turner Classic Movies) Osbourne a few months ago!